Which celebrities wore the most impressive sparklers during the 2012 Emmy Awards? Here are several looks that caught our eye! Wouldn’t you like to wear the same look your favorite celebs wore? Let’s find some similar jewelry, which is available here at Jewelry Warehouse! 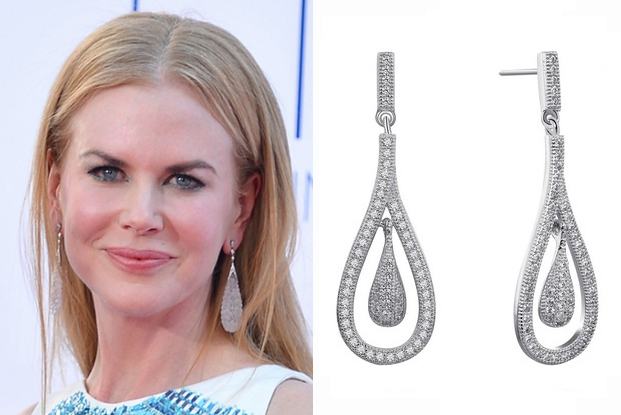 To start, here is the beautiful Nicole Kidman, who is wearing these fantastic diamond drop earrings by Fred Leighton. We have a very striking look by Lafonn! Check out these stunning Lafonn earrings, made in sterling silver that is bonded with platinum. They make an excellent choice for a similar look to Nicole’s! Jon Cryer, from Two and a Half Men, wore this stainless steel bracelet. Not really a “sparkler” piece, but it’s cool none-the-less! We have in a similar style by Inox. Julia Louis-Dryfus, wore a burgandy gown with these lovely turquoise earrings. We have a similar look in color with these aquamarine vintage style pear earrings, and the Spitzer Designs triangular topaz earrings. 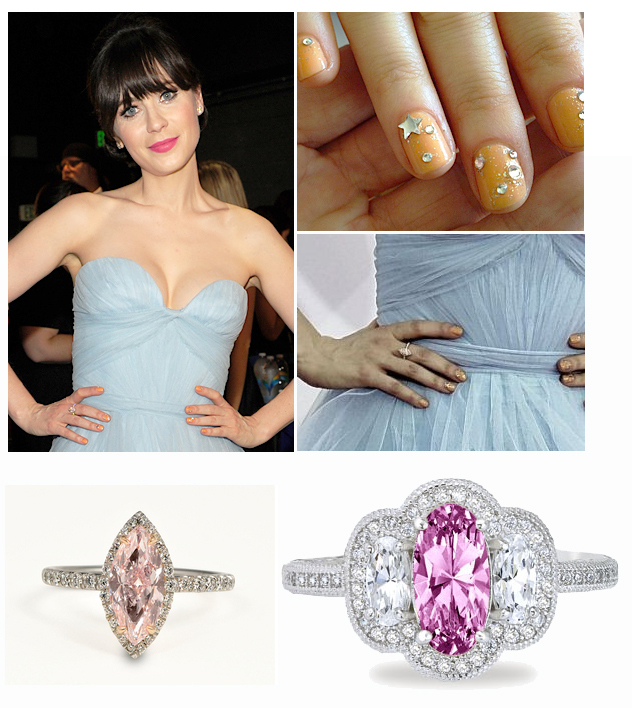 Zooey Deschanel wore this amazing pink and 18 karat rose gold marquise diamond ring. We have a similar, yet even more sparkling chic look, with our gorgeous Pink Sapphire Ring by Lafonn! Also check out Zooey’s blinged out nails! What were some of your favorite jewelry styles that celebs wore for the Emmy Awards? This entry was posted in Celebrity Jewelry, Jewelry and tagged celebrity jewelry from the emmy's, diamond earrings, diamond jewelry, emmy's jewelry, jewelry from the 2012 emmy's, jewelry warehouse, lafonn, tacori. Bookmark the permalink.